Well known Northern entrepreneur & philanthropist Andrew Turner sits alongside his son Adam in an advisory directors capacity within CG. Andrew is best known for being founder/chairman of Chorley Group, one of the UK’s most respected retail motor businesses – overseeing the groups growth from a small used car forecourt to a multi award winning £150m industry leader. A constantly driven individual, Andrew ensures that the CG path is always focused on rapid success & growth but is done so in a manner that the team can be proud of – a mantra instilled in all of his business ventures. Andrew also helped found the acclaimed ‘Inspire Youth Zone’ in Chorley, acting as Chairman and overseeing the huge success that the charity has had since it’s launch in early 2018. 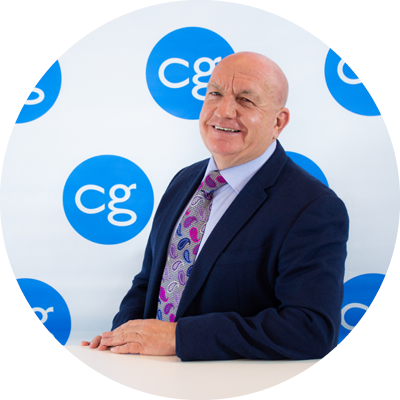 An entrepreneur and businessman in it’s truest sense, Andrew offers constant strategic and operational advice for the CG team, ensuring the team can continue to deliver commercially relevant advice in a manner that commercial clients require.